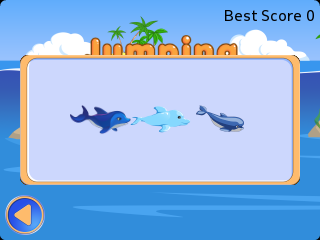 Cute little dolphin won't start it's journey without you! 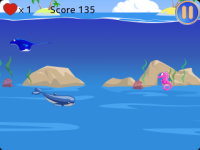 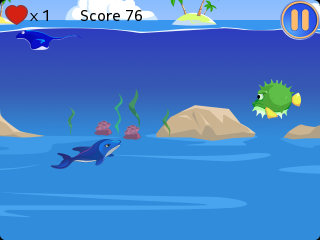 The ocean is full of dangerous creatures and funny dolphin needs your help! Cool game for those who want to dream about summer during grey autumn days, play with cute dolphin, swimming in tropical sea under the hot sun in Jumping Dolphin – Ocean Adventure! 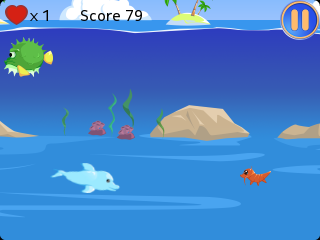 How to play: Tap the screen to jump from the water and tap again to dive again. Avoid the enemies, but be careful some if them are quite unpredictable, and don't forget to collect bonuses - Cool arcade game and time-killer; - Easy control and bright design; - Many different enemies and bonuses; - Swim with little dolphin to the end!